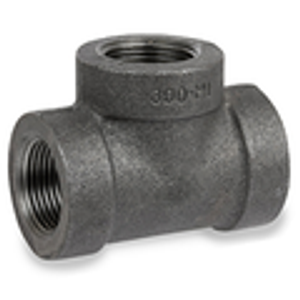 Black pipe fittings (black malleable iron fittings) are used to make connections to black iron pipe. Black iron pipe is used to transport natural and propane gas in residential applications. Black iron pipe is also most often use in fire sprinkler systems due to its high heat resistance and for water supply lines due to its resistance to water damage. 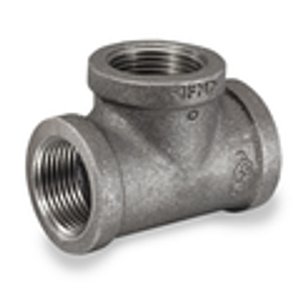 Black fittings derive their name from the black oxide scale covering the surface.